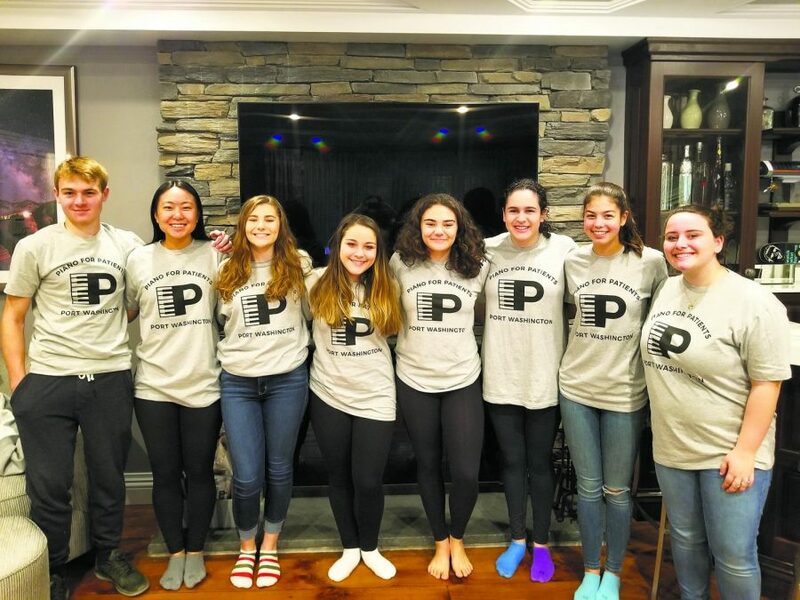 The Port Washington Chapter of Piano for Patients members AJ Siciliano, Sherry Shi, Valentina Scotto, Sarabeth Schiff, Emma Klein, Emma Goldman, Sofia Kuusisto, and Eden Franco. The group performed their instruments once a month for the Sands Point Center for Health and Rehabilitation. Music is often regarded as the universal language of mankind. 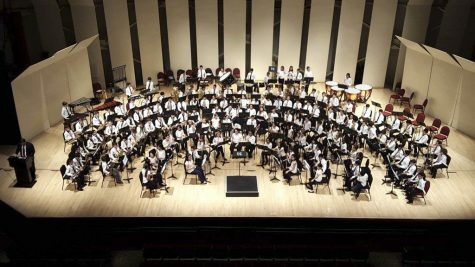 Schreiber has a thriving music program, and these classes students give students the opportunity to perform in events like the annual winter and spring concerts, with the purpose of spreading the joy brought by music. Schreiber already has a number of clubs stemming from the music department, including the Tri-M honor society and the acapella club, On a Side Note. Four years ago, Schreiber alumna Nikki Egna took initiative and created the Piano for Patients Port Washington Chapter. The group’s main purpose is to spread happiness to the nursing homes for senior citizens by doing what they do best: creating music. Today, Egna’s legacy continues, as the club continues to thrive. “Piano for Patients is full of musically inclined students who want to share their talents whether it be playing an instrument, singing, or both,” said senior Valentina Scotto. The group performs multiple times each year in the hopes that their music will create a calm, engaging environment for residents of the local nursing home. Current leaders of Piano for Patients include juniors Eden Franco, Emma Klein, and Sarabeth Schiff. The leaders have made it their goal to keep performing, and this year, they’re focusing on expanding the club. Piano for Patients currently has over ten students, and the leaders hope to keep recruiting new members as the year goes on. Members of Piano for Patients perform once a month at the Sands Point Center for Health and Rehabilitation. To coordinate and bring the very best from the group, members get together at least twice a month so that they can rehearse for their performance. The group makes a point of selecting songs that the patients are familiar with. Through their performances, the group has been able to forge a bond with the residents of the nursing home, and Piano for Patients has also fostered new friendships among its members. “I hope that this group continues to grow and inspire people throughout the community,” said senior Emma Goldman. This group of young musicians took the initiative to participate in these performances. By doing so, they give back to our community, bring entertainment to the local health center, and share their talent along with their love for music .